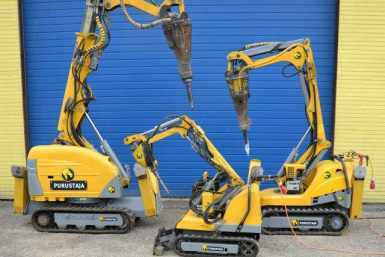 All machines are equipped with proper range of attachments (digging buckets, hydraulic hammers). 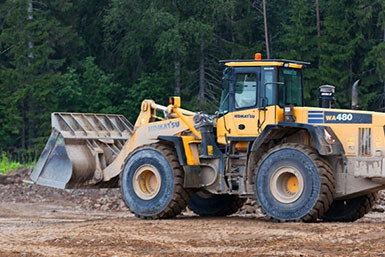 The 25 ton wheel loader is intended, above all, for supplementing the company’s rock crushing lines, which require support of large machines with high capacity levels. The size of the machine, its 4.5 m3 bucket and up to 20 ton lifting capacity make it a highly demanded machine for loading large production volumes. The front loader is equipped with scales, which allow weighing the loaded or stored material at the spot, and to get a printout of the results from the check printer. The universal 34 ton screen, intended for primary and secondary screening, offers – above all – high level of productivity, and thereby optimum price levels. 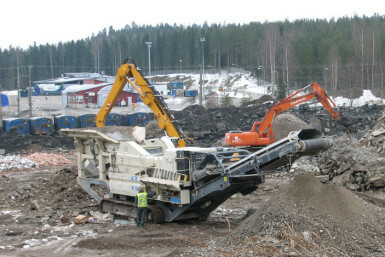 Lokotrack ST272 is suited for processing soil, earth, rock, construction and other waste as well as gravel and crushed stone. The list of processed materials is long due to the large range of screen meshes, which can be installed on the unit alternatively. With the 2 level screening process the material is separated into three fractions. This machine too was manufactures by the well-recognised Finnish company Metso Minerals, which ensures high dependability and reliability. construction waste – asphalt, bricks, concrete. 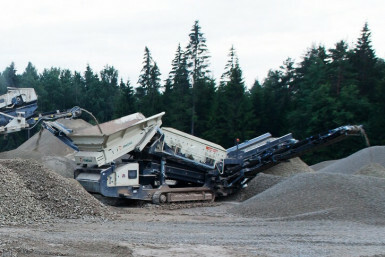 The rock crusher was manufactures by the reputed Finnish company Metso Minerals, which ensures high dependability and reliability. The crusher production line also includes an excavator for feeding the processed material, and preferably a wheel loader for loading or better storing of the material produced. The rock crusher was manufactures by a recognised Finnish company Metso Minerals, which ensures high dependability and reliability. The crusher production unit also includes a loader or an excavator for feeding the processed material, and preferably a wheel loader for storing the material produced. 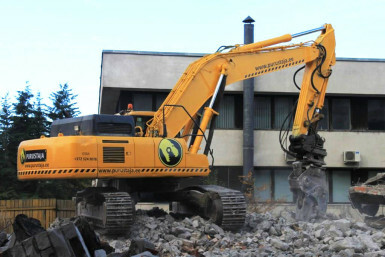 This crawler excavator equipped for demolition work features a high-reach demolition boom, which allows performing demolition operations at the height of 20–24 m above the ground level. 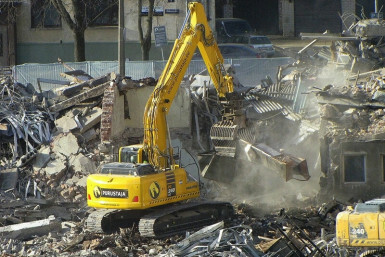 The tools that can be used with the high-reach demolition boom are concrete crushers and sorting grapples. For regular work the excavator can also be equipped with a short boom featuring such work accessories as excavation buckets, concrete crushers and hydraulic breakers. With the short boom the machine weighs 40 tons, plus the weight of the work accessory installed. 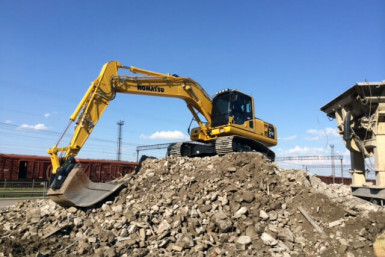 For this reason Komatsu PC350HRD can be used on demolition sites, which can also be processed with our other heavy-duty machine (Komatsu PC450LC). The new 42 ton excavator is a state-of-the-art machine from Germany, designated for handling demolition projects of above-average volume. 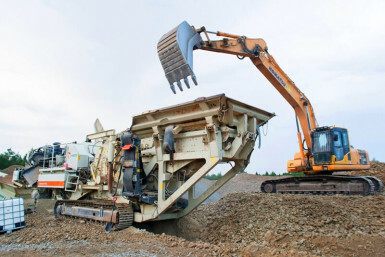 Flexibility of the machine is enhanced by its narrower frame (NLC version) and the articulated boom, which make manoeuvring of the machine more effective both during the work, as well as at transporting from one site to another. 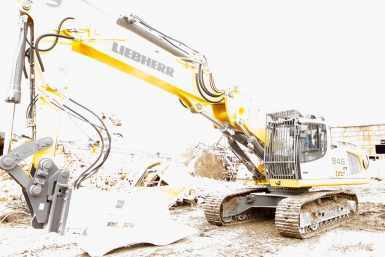 Liebherr R946 is one of the three of the machines in our above-40-ton weight range. The work equipment of the machine includes a 3.3 ton NPK crusher, a hydraulic breaker and a digging bucket. This 45 ton crawler excavator is suitable for tasks the volume and nature of which requires high power. In the case of large buildings – plants, warehouses, multi-storey residential and commercial buildings – this construction machine is virtually indispensable. 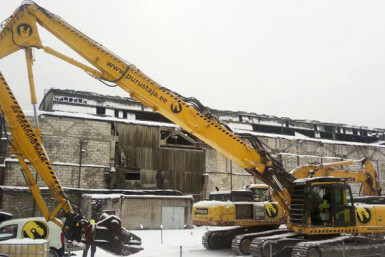 Purustaja OÜ’s experience demonstrates that one 45 ton excavator is more practical for the job it is intended, than several smaller (21-31 ton) excavators.. This 22 ton tracked excavator is designated, above all, for independent handling of smaller demolition projects, and processing construction waste (crushing of rock material, screening of other materials, feeding a rock crusher). The range of work equipment of the construction machine includes a levelling bucket, a toothed bucket, a clamshell bucket, a crusher and a hydraulic breaker.